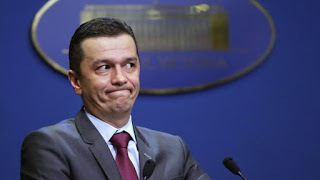 Romanian Prime Minister Sorin Grindeanu has been forced from power by his own party, in a no-confidence vote in parliament. His left-wing Social Democrat party (PSD) had accused him of failing to carry out necessary economic reforms. The prime minister was involved in a power struggle with party leader Liviu Dragnea, who was barred from office after a conviction for voter fraud. Mr Grindeanu lost the censure motion by 241 votes to 10. The decision by his own party and its liberal ALDE allies to oust him was seen as a first, even for Romania's turbulent politics. The party won elections in December only a year after losing power. Within weeks, protests erupted across the country over a decree seen as weakening anti-corruption measures in one of the European Union's most corrupt member states. In February the EU warned the government in Bucharest against "backtracking" in its efforts against corruption. Although Mr Grindeanu withdrew the decree, the crisis weakened the new government and soured relations between the prime minister and Mr Dragnea. The prime minister's internal critics complained that he had failed to make progress on the majority of the government's promises. Mr Dragnea, while being the power behind the left-wing party's throne, cannot take power because he was given a suspended jail term for vote rigging and also faces trial for alleged abuse of office.